Theatre: Ensemble/2nd Cover and played Carmen The Producers (International Tour); Ensemble Mack and Mabel (Hackney Empire); Phaedra La Cage Aux Folles (UK Tour); Ensemble The Hired Man (The Other Palace); Big Deal West Side Story (Victoria Warehouse); Warner Legally Blonde and Corny Collins Hairspray (Bird College). 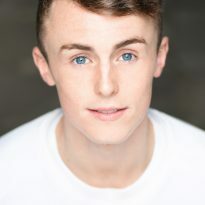 Other: Assistant Choreographer for The Beautiful Game (The Other Palace), Spring Awakening (Curve, Leicester) and Encore (Adelphi Theatre) with NYMT. Performed with La Cage Aux Folles at West End Live.